Food for thought, Herr Huss: If the lab folks bring their dogs to work, might not these Lab-a-cados also be prone to chasing and retrieving tennis balls? Shedding several metric tons of Lab-a-cado fur each month? Licking our faces as we eat our dip? Lab-a-cados until we got to the “face licking!” You don’t know where that tongue’s been … hmm, knowing you … you may indeed know where that tongue’s been! 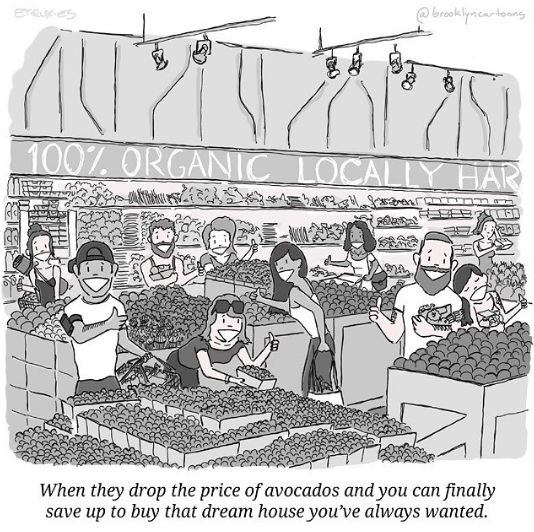 Hi NBR … Thanks for reading and commenting … I thought the super food avocado would attract your attention … how could I forget to mention the role of avocado facials in our culture? Please forgive my narrow view of the role of this nutty little plant! Very clever, Ricardo, as always, Gracias! Hi GL … this was another of those that once I heard the news headline, I raced to my keyboard and this spilled out … he-who-shall-remain-nameless just keeps on dumping material in my lap! Thanks for reading and commenting … I’m glad he’s backed off the closing of the border … what would I do if there were no Stupor Bowl?